This article discusses basic data analysis in excel. In order to improve your Quality Assurance you must be able to measure and then interpret that data. Data analysis in excel can help you interpret that data. In the discussions below, we use Office 365 version. Earlier versions can also be used. Click the cell where you want the average to go. Click the cell where you want the mode to go. Click the cell where you want the median to go. 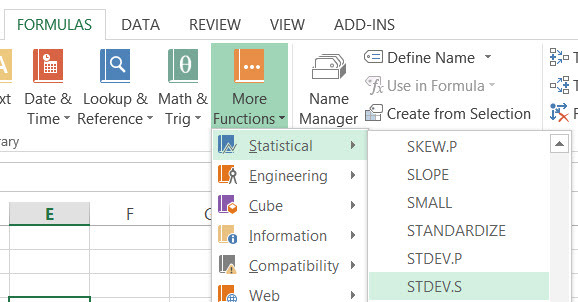 Click the cell where you want the standard deviation to go.